Waltja Tjutangku Palyapayi Aboriginal Corporation (Waltja) is an Aboriginal controlled community-based organisation, which does good work with families, grounded in strong culture and relationships. 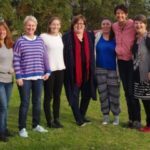 They work in remote Central Australian Aboriginal communities, across nine languages and across more than one quarter of the Northern Territory. Formed in 1981, 102.1FM 8CCC is an outback radio station with a proud history of unique programming and regular Central Australian/Barkly-inspired music. 8CCC decisions are made by a volunteer Board of Management and a part-time Station Manager. 8CCC’s vision is to involve and service the Alice Springs and Tennant Creek communities with services, programming and content that is not readily available in the commercial broadcasting arena. 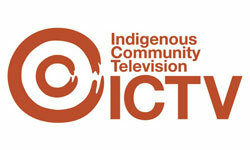 ICTV is an Indigenous television service, delivering cultural and community television programming to remote communities around Australia on Channel 601, VAST (Viewer Access Satellite Television) and on ICTV PLAY. 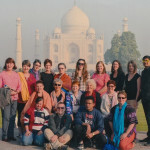 ICTV PLAY is ICTV’s online video streaming service providing on-demand access to their extensive library of video content, which is provided by producers and contributors throughout Australia, but mostly from remote Australia. CAAMA came to life in 1982 with the establishment of radio station 8KIN FM. Aboriginal-owned media was seen as being vital to the broad educational and community development aspirations of Aboriginal people in Central Australia. Today CAAMA broadcasts in half a dozen Indigenous languages, reaching communities across Australia, and plays a major role in the maintenance of Indigenous Language and Culture in Central Australia. Basso Concreting is a local family-owned and operated concreting business servicing the Alice Springs community for more than 20 years.